FCPL Kids: Youth Art Contest! 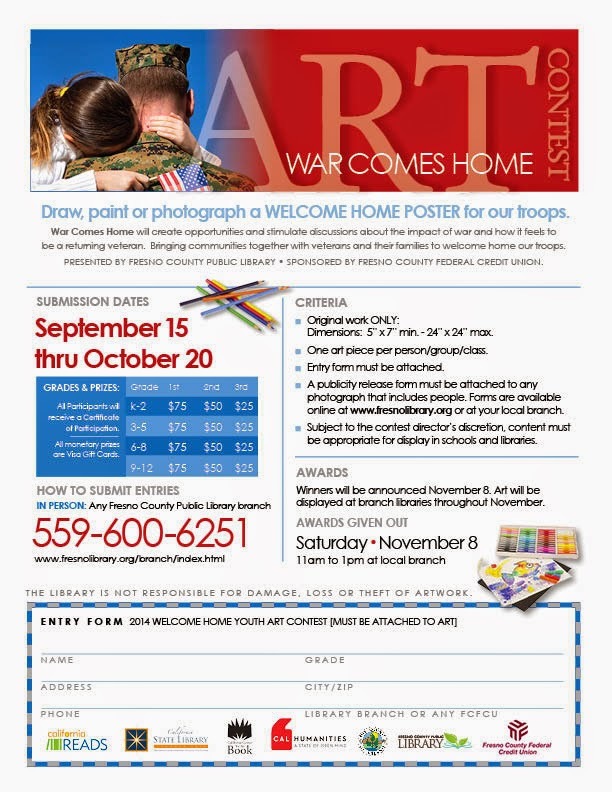 Draw, paint or photograph a WELCOME HOME POSTER. War Comes Home will create opportunities and stimulate discussions about the impact of war and how it feels to be a returning veteran. Bringing communities together with veterans and their families to welcome home our troops.